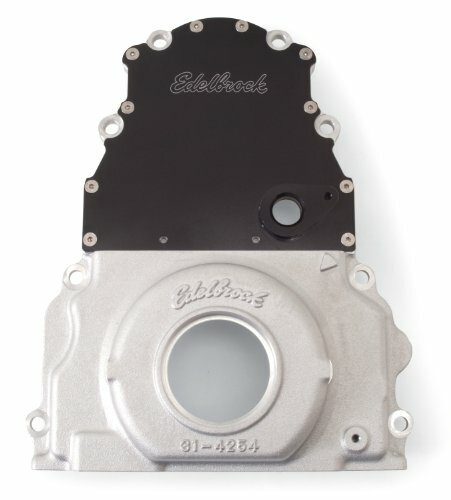 These two-piece aluminum timing covers for GM Gen III & IV LS Series allow quick camshaft removal and installation without the need to remove the damper pulley or steering components. The cam can be installed and removed through a window in the front of the cover which is sealed with a plate and o-ring for superior leak prevention. Not for use with a double roller timing chains.